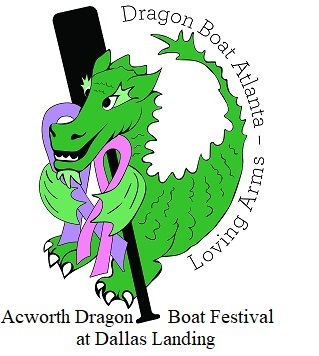 Dragon Boat Atlanta and Loving Arms are teaming up to bring you the Acworth Dragon Boat Festival! This event will be held at Dallas Landing Park on Saturday, May 4 from 7:00 a.m. to 4:00 p.m. Dragon Boating is an up and coming sport, soon to be an Olympic sport. Many communities hold dragon boat races as a different means to benefit charitable organizations within the community. These festivals are fun filled days for all ages featuring corporate and community teams racing in 46-foot long ornamental dragon boats. Race day combines various cultural activities with food and fun for spectators and participants. People love the thrill, the teamwork, the adrenaline, and positive interaction in the boat. People who never thought of themselves as athletes can thrive in a dragon boat and discover a challenging alternative to other sports, which is why this is currently the fastest growing water sport! To learn more about this sport or to get involved, please visit: www.acworthdragonboatfestival.com.